SPINS: New customers only. 20 spins after signing up. 180 more spins after first deposit – 20 immediately and a further 20 per day for the next eight days after depositing. Spins and bonus wagering on Age of the Gods slot games only. Wager 20x before withdrawing. BONUS: New customers only. Minimum deposit £20. Maximum bonus £100. Wager 40x before withdrawing.Game weighting applies. 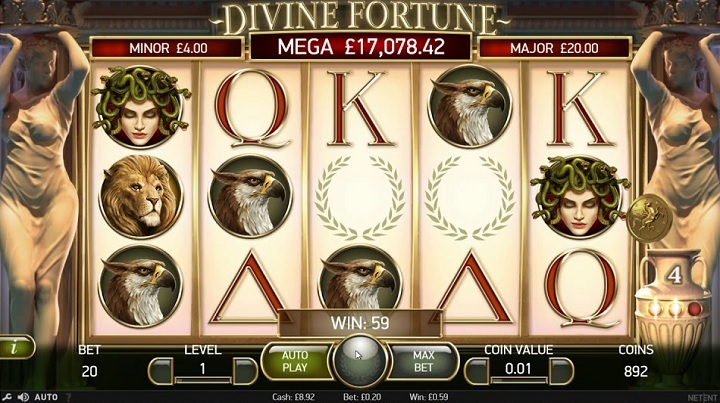 Bonus Betting limits: Slots – £5 All other games – 10% of bonus amount. Casino.com is considered to be the flagship brand of Mansion Group which manages a range of online casinos and, operating under the slogan “Where the World Plays”, caters to an international players’ community. They position themselves as the “boutique hotel of the gaming world” and offer their members a tailored approach which can’t be easily replicated. As all Mansion brands, Casino.com holds a UKGC operating license, on top of being regulated by the Government of Gibraltar. Powered by Playtech, it provides about 350 games, offers several flexible ongoing promotional offers, and rewards loyalty through a comp point scheme and exclusive VIP benefits. An impressive start to my Casino.com review, let’s see what else they’ve got..
Having recently revamped the website to give it a modern look and provide a simple and user-friendly interface, the operator claims to be already receiving rave reviews from their customers. I appreciate the fact that, while aiming to stand out, redesign didn’t create an over-busy site in which games take the back seat. Following the promotional banner on top, they occupy a central position and are accessible either via the category menu or a search box which allows you to find them by name. At the same time, a very detailed menu on the bottom provides links to every other important section, such as T&C, payment policy, promotions and support. All in all, very clear and very easy to use. To welcome you to their family, the operator will double your first deposit up to £100. This is the only Casino.com bonus which is redeemable, on the condition that you play it through 40 times. It’s also one of the rare subjects on which this gaming venue is not completely transparent. For example, there is no mention of a minimum deposit required to claim the welcome offer. The bonus comes with a long, long list of excluded games which basically covers every single table game, meaning that wagering requirements can only be met by betting on slots. Before you make your deposit, be informed that those executed by Neteller will not qualify. Via the Red or Black promo Casino.com offers to double your deposit every Wednesday, up to an amount of £400. To claim it, you’ll need to use bonus code RED while depositing a minimum of £20, and wager the credited bonus amount 40 times before cashing it in. If you think that’s too high, alternatively opt for a 50% match up to same £400 max, and collect the cash after having it played through only 20 times. Be warned though that you can have no more than £10 in your casino account prior to making a deposit to qualify for this offer. Make Your Match is another reload bonus which can provide a welcome boost at the beginning of each month. While in any case the offer consists of 100% match on your first monthly deposit (code FIRST1), the maximum amount you can benefit from depends on how high on the loyalty ladder you have managed to climb. It can be either £500 (us common folks) or £1,000 (VIP and Elite players). The minimum qualifying deposit is £25 for Bronze/Silver/Gold loyalty levels and £50 for the big shots. As is the case with the previous promotional offer, you can only go for it if your account balance shows no more than £10. A further £1,000 in bonuses can be acquired by bringing your friends on board. You’ll get £50 for each of them, once they sign up, claim the operator’s welcome offer and wager it 40 times. A standard comp point scheme is in place to reward your loyalty by dishing out cash-redeemable points each time you play. How much you need to spend for one, depends on which game you wager on and ranges from £20 invested in slots, up to £200 (!) on some of the table games. Rookies who are at the very bottom of the loyalty hierarchy need to accumulate 100 points for £1 cash and 400 for £10. As you advance up to VIP levels, conversion rates significantly improve and can reach more than £8 for 100 points (though you will have to exchange a massive amount of 20,000 points in order to enjoy this rate). Casino.com is clearly giving the players tons of motivators to become VIP, some of which I like and some which kind of rub me the wrong way (skip to banking section and you’ll see why). So what do you get, having proven you’re loyal and have loads of money to spend? The most tangible benefits, in my view, are higher withdrawal limits, faster cash-outs, and significantly better point conversion rates. Once you’ve signed up, a range of deposit methods will allow you to boost your balance by a minimum of £5 to £20. These include Visa credit and debit cards, MasterCard and Maestro, Skrill, Neteller, PayPal, ecoPayz, Paysafe card, EntroPay, Citadel Instant Banking, iDebit, Boku, and Bank Transfer. 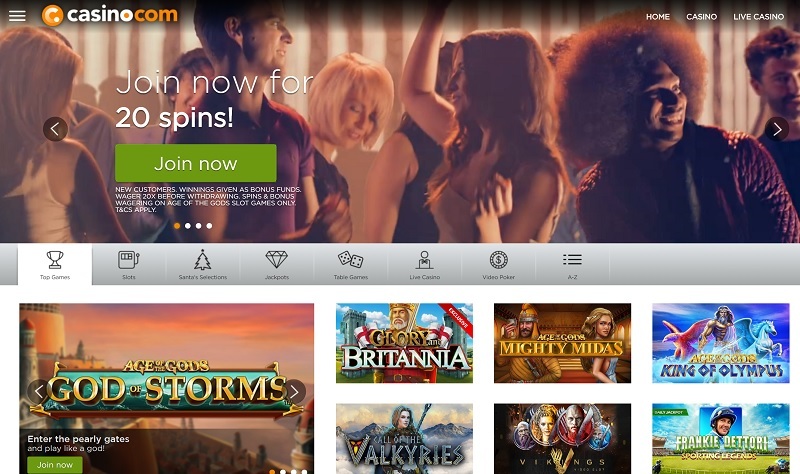 Casino.com is a single-provider affair which offers you a choice between instant play and download version. While not a fan of the latter, obviously I had to try it out so I could let you know whether you should do the same. While equally attractive and possibly even more user-friendly than the Flash casino, it’s not the fastest software I’ve experienced and offers less than 30 additional games. So, unless you have a specific preference for downloads, there’s no good reason to decrease your free hard disc space and slow down your computer. Either way, you can benefit from Practice mode which will allow you to play for funny money before you feel confident enough to start betting real cash. I actually think the best Playtech games are those featuring progressive jackpots, which is why I’m struggling a bit to pick great ones which do not. 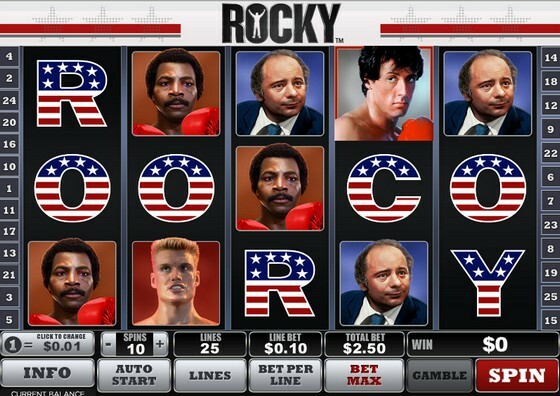 The developer is well known for their licensed titles, Rocky being one of them. Inspired by the Italian stallion Rocky Balboa, this game comes with generous-paying wilds, free games with multipliers, and a knockout bonus round in which you need to choose an opponent Rocky will fight in a 10-round match, each one he wins awarding a cash prize. knockout prizesA Night Out, Dr. Lovermore, Great Blue and Frankie Dettori’s Magical Seven are some of the other popular titles featured at this gaming venue. Game catalogue offers about 20 classic slots which you’ll need to fish for in instant play version, but which are grouped in a category of their own in downloaded one. If you’re a hard-core traditionalist, I’d recommend you try Crazy 7. 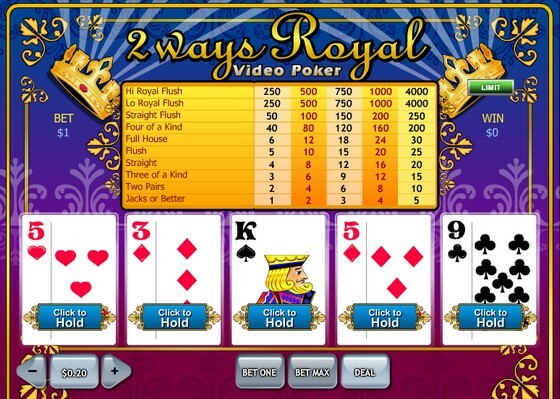 The game is as simple as they get, with 3 reels, only 1 payline, and a retro look. Funky Monkey will offer a bigger variety of game symbols and higher potential payouts – as much as 2,500x your stake. Too simple for you? 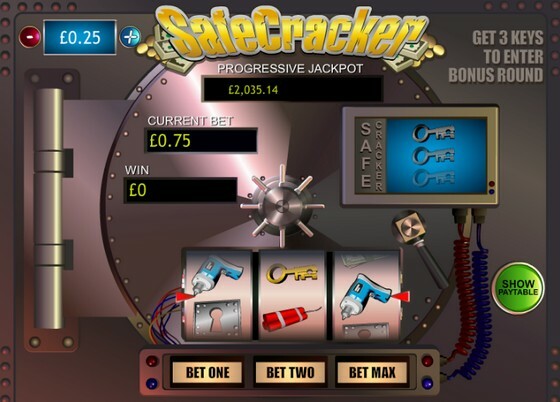 Then launch SafeCracker, a beautifully designed 3-reel and 1-payline video slot wannabe which comes with a bonus side game and a progressive jackpot triggered by landing 3 banknotes. Three keys on the payline will launch a mini-game, facing you with 10 deposit boxes out of which 3 are alarmed. Picking and clicking awards cash prizes until you get unlucky to set off the alarm. The real treat of Playtech’s range comes in a form of progressive jackpot games, and there’s quite a few to choose from. I’m personally a big fan of „Batman & xy“ series, due to their unique comic book style design, combined with real footage from the 60’s camp TV series, and tons of varied and creatively executed features. The fact that they come with high win potential also helps. Age of Gods series, represented by King of Olympus, Fate Sisters, Goddess of Wisdom and Furious 4, is another great example of the developer’s imagination and dedication to provide games packed with action. Life changing wins can further be achieved by spinning the reels of superhero-inspired Superman II, Man of Steel and Green Lantern, or one of the other popular progressives, such as Jackpot Giant, Beach Life, and Monty Python’s Spamalot. I find the latter to be hugely entertaining, using the same kind of quirky humour typical for this British comedy group, and quite unique in terms of features. Just check out the bonus round which unfolds in 4 acts – Storm the Castle, None Shall Pass, Knights Who Say Ni, and Killer Rabbit. Attractive and professional dealers stand by 11 live tables, offering an interactive gaming experience which is as close as you’ll get to a real, brick-and-mortar action. The choice includes European, French and Roulette Diagonal, Baccarat and Mini Baccarat, Casino Hold’em and a couple of live Blackjack games. Unlimited Blackjack welcomes unlimited number of gamers, making sure you can play even when standard tables are fully occupied. A decent-sized table games library counts about 40 Roulette, Blackjack, Poker and Baccarat games, but also Craps, Sic Bo, Red Dog and 3 Card Brag. A few multiplayer variants can be played exclusively for cash, while majority of others, including Penny Roulette, Blackjack Switch and Tequila Poker, can also be enjoyed for free. Without the possibility to win real cash, obviously. I’m used to seeing extremely large Video Poker collections so a choice of only 15 looks a bit modest. Along with the omnipresent Jacks or Better, Deuces Wild and Aces and Faces, you’ll also find Mega Jacks and 2 Ways Royal. The latter offers Hi and Low Royal Flush, adding another high-paying combo formed by 2, 3, 4, 5 and 6 of the same suit. Selection of about 50 other games is a mix of Scratch Cards, Bingo and Arcade games. 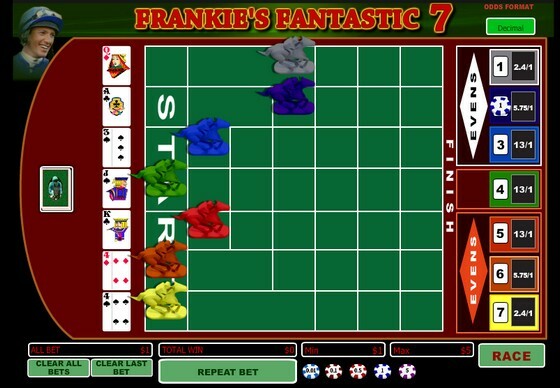 Frankie’s Fantastic Seven transports you to a racing course where, having bet on a horse, race participants move forward each time a card dealt against them turns to be the highest of the bunch. A decent FAQ list complements information offered at different sections of the site, so you’re likely to get your questions answered with no help from outside. 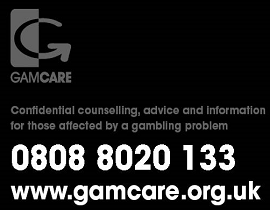 However, should you need to communicate to the Casino directly, you’ll be happy to know the operator’s team is at your disposal 24/7 and can be contacted via live chat, phone or email. There’s even a toll-free phone number available for their British members. Those of you who enjoy the benefits of social networks also have an option to message the operator on Facebook, or send them a tweet. The site looks attractive and equally easy to use on mobile devices as the desktop version. Main difference in layout is a single menu positioned in the top left corner, with links to each and every section of the webpage. There are close to 200 games to play on the go, though no Video Pokers and only 6 live ones (Casino Hold’em unfortunately not included). Whether you’ll like Casino.com or not, largely depends on whether you’re attracted by a single-provider offering and how much you enjoy Playtech products. While this also affects size of the gaming catalogue, the operator has made sure there’s something to suit everybody’s taste. Promotional library is a good start on their promise to deliver tailored experience, and the only major thing to dislike is the difference in players’ treatment depending on their loyalty status. Motivating members to play and wager more by offering additional benefits is one thing, penalising them with a 3-day withdrawal processing time quite another. If you’re a high roller though, this is a casino that you’re going to feel right at home in.